The SF 901-T Thermostatic shower has now been replaced with the Artisan Thermostatic Bar Shower Valve. The all new Artisan bar shower valve. 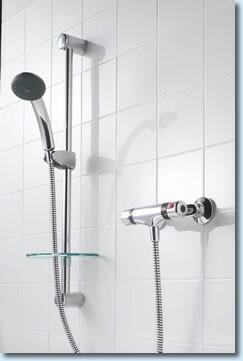 The Artisan comes complete with a neat multi function shower handset and riser rail.